The Botanical Society of Britain and Ireland (BSBI) know otherwise, as will anyone who has participated in any ‘New Year Plant Hunts’, which have been taking place for the past five years. The idea is to record any and all plants that are in flower at the start of the year. Pick a day between the 1st and 4th January 2017. Record all wild/naturalised plants that are in flower (taking photos if possible). Spend up to three hours recording in your chosen area. Send all details to BSBI. That isn’t the point of this article though, the point of this article is to explain why this is such a brilliant event to take part in. 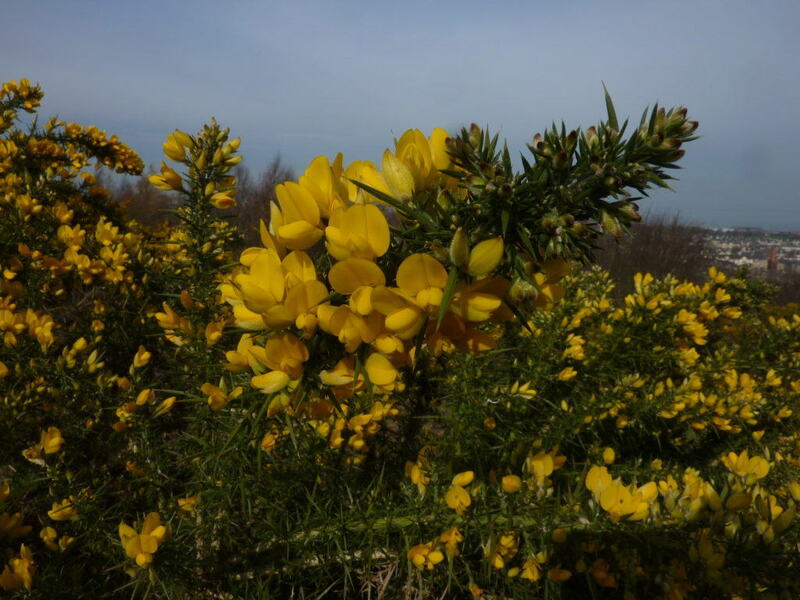 Gorse Ulex europaeus is always reliable when it comes to finding flowers. At the start of last year I had only ever taken the occasional picture of an interesting flower and asked ‘the Internet’ what it was. However, equipped with a new field guide I received for Christmas, I was ready to delve into the wonderful world of wildflowers. My first plant hunt took place on my local patch in Edinburgh, with a group of other people keen to record anything we could find. This was the best way to start out as it meant I could learn from others who already had knowledge of flowers; I’d strongly recommend that you join a local group that’s going out recording this New Year. There are lots of groups organising New Year plant hunts all across the UK, see the BSBI website for more details. After a successful first plant hunt during which we recorded 24 species in flower, I then went on to do another four hunts throughout the four-day New Year period. The feeling when discovering another species of plant in flower at a time of year when it should be laying low is very rewarding. Recognising flowers as being of a particular group is the first step to getting a confirmed identification. 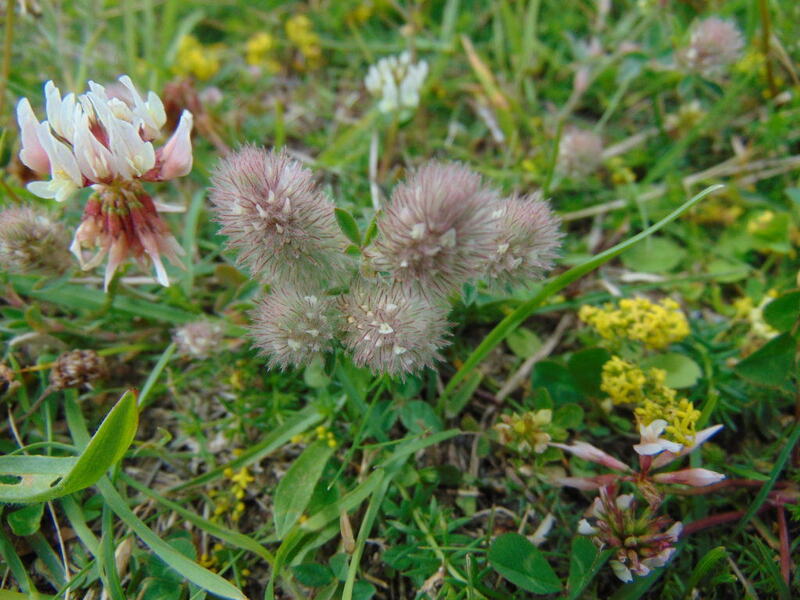 Hare’s-foot Clover Trifolium arvense. What made the whole experience even more rewarding was the fact that it was so easy. It was no more than a week after receiving my field guide that I was able to go out and put it to use. The fact that, relative to June for example, there aren’t many plants in flower means a beginner will not be overwhelmed with masses of flowers on their first day of botanising. It is manageable, especially if out with others who are there to offer support. The gradual introduction to botany allows a novice to learn about the various groups within which plants are categorised and learn about the identification of flowers, see the rich variety of plant life that may not have been previously noticed, and enjoy the challenge of developing a new skill. What’s more, you don’t have to stop after the New Year Plant Hunt; continue botanising! As the year progresses more flowers will begin to appear and you can develop your identification skills as the flowers emerge. Botanical ability is a good skill to possess and being able to write on a CV or job application may well make you stand out from the crowd. The New Year Plant Hunt was the first time I used a dichotomous key and the first time I’d ever identified plants. 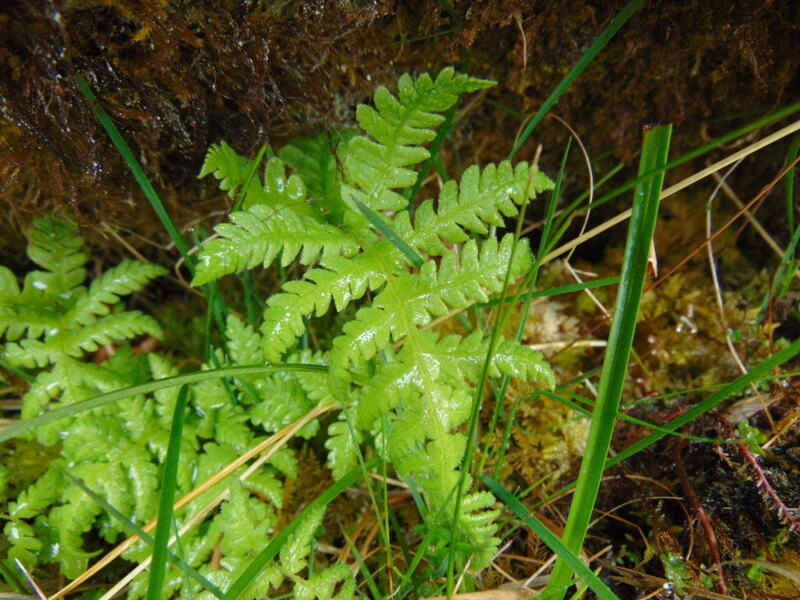 From there I have advanced into non-flowering plants such as ferns and bryophytes, and have found it easier to learn how to identify groups such as dragonflies due to knowing how to use a key. The most rewarding thing I’ve gotten out of the New Year Plant Hunt is that I have been able to appreciate places I’ve been even more because I could look, not only at birds, but also at new plants that I wouldn’t see elsewhere. Even walking down the street my day could be made by finding something that appears so out of place but manages to find a foothold in the urban environment. 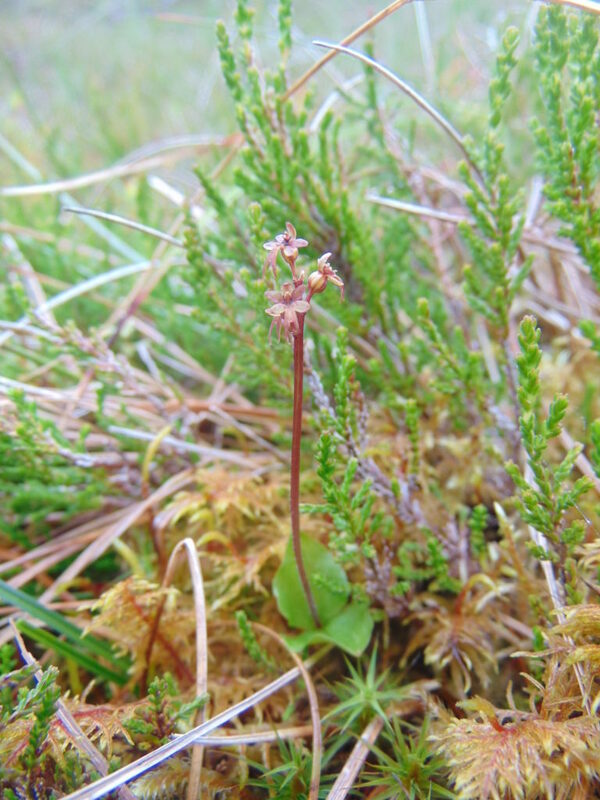 Lesser Twayblade Neottia cordata, found beneath the Heather Calluna spp. So why not give the New Year Plant Hunt a go? It’s the best way to sow the seeds of your botanical future.